Not too many years ago, the local newspaper provided the bulk of news and advertising options. The media world has certainly changed. Perhaps I’m getting a bit philosophical for a construction marketing blog. But things are certainly changing at an incredibly rapid rate in the publishing world and these changes undoubtedly are influenced by marketing and technological decisions. The reason for these changes: “Old” advertisers have been deserting the traditional media. There was a time a bit more than a decade ago, when residential service contractors felt it necessary to have a regular Yellow Pages ad. It was an expensive proposition, as the advertising commitment had to be made annually and with a near-monopoly, Yellow Pages could charge what it wished. Now, if you wish, you can put a short-term highly focused and easily tested ad on Facebook or Google and quickly monitor results, adjusting the wording and cancelling if needed. If you want to spend a bit more, you can achieve an “editorial” look (at least on Facebook) with so-called Native ads. You’ll save a bundle, and really be able to measure the results. Is there a place in the universe for the old-line media services? In some areas, yes. Magazines, with their tactility, portability and permanence, still have quite a bit of relevance and effectiveness, and radio (competing with ad-free satellite services) covers the situations where hands-free listening and immediacy still have value. 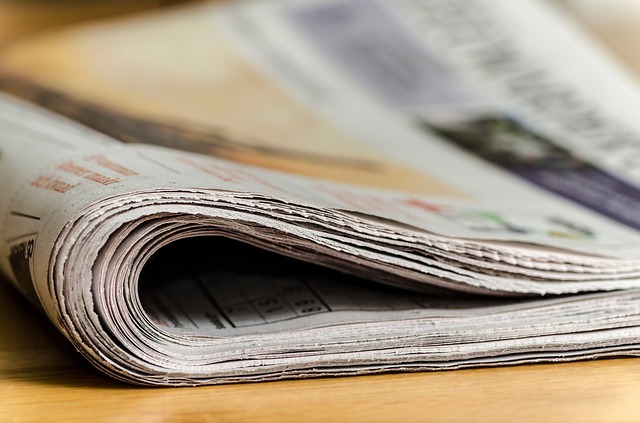 If you are serving an older demographic, the print media may still be essential. In the business-to-business media world (our space! ), there has for several years been an attitude that publishers need to provide a truly integrated marketing service, linking print, online, direct distribution (email marketing and flyers) and shows and events, with personal/association industry contacts, to provide real value to the advertisers. That is our perspective. You can certainly purchase print or online advertising, but most of our clients these days take the package which includes editorial (native) advertising, associated with links and monitored banner ads in our relevant websites and eletters. In this context, the advertising extends beyond our borders as the stories and messaging can be linked beyond our sites. Of course, from the perspective of business, nothing beats really good word-of-mouth and recommendation-based marketing; and here all the new media will do is amplify the story of how you and your clients relate. Do good, and clients will share the news quickly. Do bad, and they will spread the word even more quickly and with greater intensity. Be ready for a fast ride. If you would like insights into marketing to architectural, engineering and construction businesses, you can reach me by email at buckshon@constructionmarketingideas.com or connect for a phone or video chat consultation.